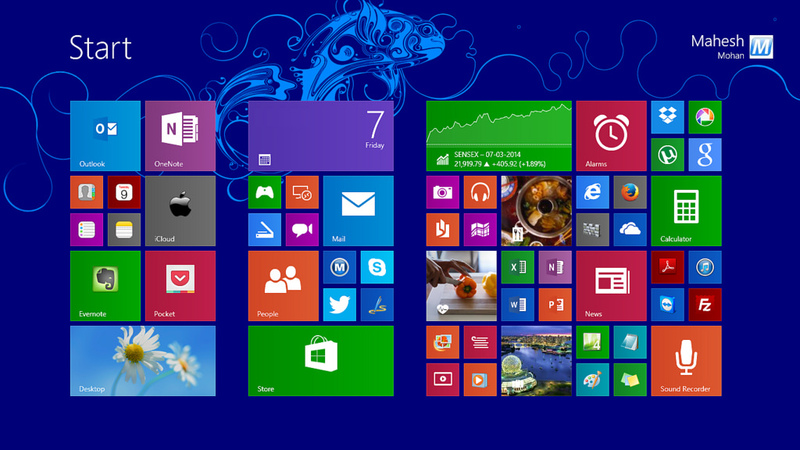 Windows 8 has just been released. One of the major changes to the operating system, that is both the first thing users notice and the topic of some controversy, is the redesigned user interface, particularly the new 'Start Screen'. The Start Screen replaces the traditional Start Menu and is included in response to the increasing popularity of mobile devices (phones, tablets, etc.) that feature a touch screen. This is a fairly major paradigm shift from the traditional desktop metaphor most of us have come to know and love. As many Windows users will no doubt be wondering whether an upgrade to the new Windows 8 is worth the price tag, I thought I'd use this opportunity to present you with some alternatives (and they won't even cost you a cent). What a lot of people don't realise is that they have a choice about what operating system they run on their computer. There are essentially three types of operating system: Windows, Mac OS and Linux. Windows comes pre-installed on most new PC's and is therefore the default choice for the vast majority of computer users. Mac OS is designed to run exclusively on Mac computers and so isn't an option if you have a PC. 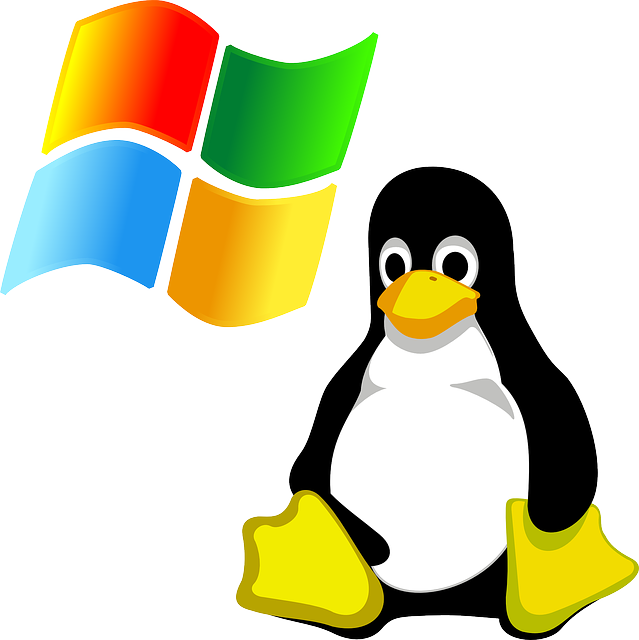 Linux is a free operating system but is largely unknown to most Windows users. This article seeks to change that. I grew up using Windows; our first computer ran Windows '98. When I got my own computer it came with Windows XP and I believe I even upgraded to Windows Vista at one stage. I was happy using Windows (ignorance being bliss and all). Then I started working with Alma Technology in 2008 and was introduced to Linux. Linux is what they run on all their computers and so I was thrown in the deep-end, so to speak. After a few months of using Linux at work, I decided to make the change at home and install Linux on my personal computer. I can still remember one of the deciding factors that made me want to switch - Linux gave me the ability to rearrange the minimised windows on the taskbar. Maybe not a big deal to some, but it made me realise that just because something was built a certain way didn't mean it had to stay that way. Linux provided a level of customisation that Windows didn't. Before I go further, I'd like to explain that Linux isn't really an operating system itself. It's basically the core that a whole bunch of different operating systems are based on. The reason for this is the fact that Linux is open-source - anyone with the know-how can take Linux, modify it, then re-release it as their own, customised operating system. Try doing that with Windows or Mac OS and you'd be in all kinds of legal trouble. Now there's nothing wrong with a company like Microsoft owning the legal rights to Windows (they need to make their billions somehow), it just means that if you're a Windows user and you don't like something about it, too bad. Getting back to Linux, its being open-source is the reason there are so many different versions of it available. Someone didn't like the way something was done in the original Linux so they took a copy, made some changes and released their own version (called a 'distribution'). Someone then took a copy of that, made some more changes and released another distribution. Multiply that out and you have the current state of Linux - multiple distributions each tailored for a specific purpose or audience. Now for those of you that have heard of Linux but have dismissed it as being impossible to use or only appealing to ubergeeks, prepare to think differently. Modern distributions of Linux are much more user-friendly than they were 5-10 years ago (Linux has been around since the early '90s by the way). Some distributions were even designed specifically with the goal of creating an operating system that either rivalled Windows or at least made the transition from Windows more familiar for users. Two of the most popular distributions of Linux today are Ubuntu and Linux Mint. Ubuntu is designed to be 'Linux for human beings' (because we all know ubergeeks aren't really human). It's what I first started using back in 2008 and continued to use until recently. Unfortunately Ubuntu has, like Windows, recently decided to move away from the traditional desktop metaphor in their user interface. 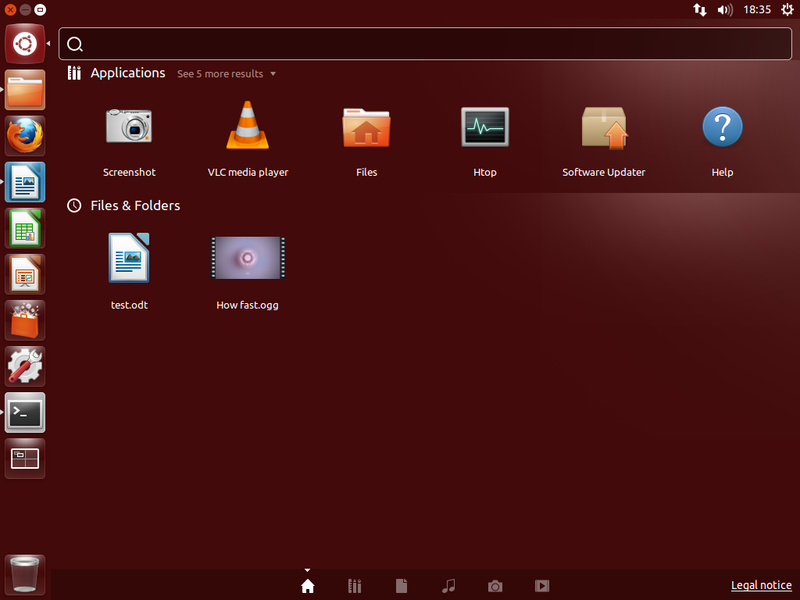 If you're wanting to try Linux and don't mind not having a typical Start/main menu, taskbar, etc., then Ubuntu is certainly one to try. If, however, you're like me and prefer the traditional desktop, read on. After moving away from Ubuntu and trying various distributions of Linux, I eventually settled on Linux Mint. 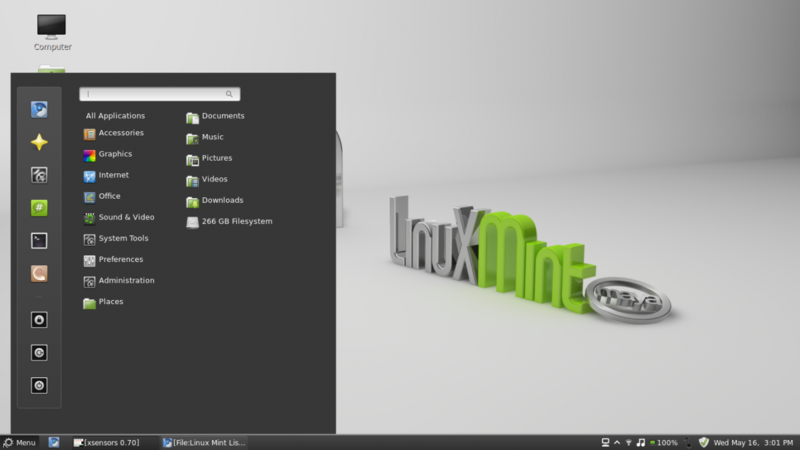 Linux Mint has kept the desktop user interface we're all used to and is possibly one of the easiest Linux distributions to use after coming from Windows. A new version is due out this month, so keep an eye out for it. It's free! You can download and install Linux today. Upgrades are also free, as are the majority of applications you can install (such as full-featured office suites, photo editing software, web browsers and email clients). It's open-source. Chances are there's a distribution already tailored for someone like you. Generally (and don't quote me on this) Linux requires less resources than Windows and so runs faster. Got an old PC that takes half an hour to boot up each morning? Try running Linux and I'm sure you'll see a noticeable improvement. Linux is more secure than Windows. As a web developer I'm online almost 24/7. It may therefore surprise you to know that I don't have any anti-virus software installed (gasp!). I don't need it. Built-in software library. Most modern distributions of Linux have built-in the ability to find and download all the software you need without opening a web browser (similar to the app store on mobile devices). Test it first. Most Linux distributions come with a Live CD, a feature that lets you test Linux in an interactive environment without actually installing it or making any changes to your computer. There are many aspects of Linux I haven't touched on here. This is just meant to be an introduction to the world of possibilities that await those willing to try something a bit different. Linux isn't for everyone, but if you do decide to stick with Windows at least do it as an informed user and not just because 'it came with my computer'. For those willing to make the move to Linux, welcome to freedom!